I'm actually fairly impressed at the longevity of the Celestial Harmonies / Fortuna label; they seem to have been going for decades at this point with most of their titles still in print. This was the label that did a lot of the original Steve Roach releases, was the first label that reissued the great second Popol Vuh album, solo Michael Shrieve, a Terry Riley title or two, etc. New Zealand synthesist David Parsons has probably had the most symbiotic relationship with the label and has been releasing albums on the imprint since the early 90s. 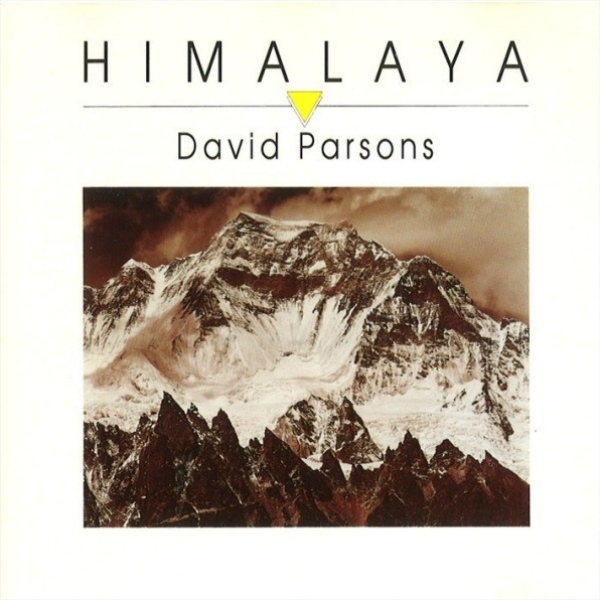 Back before ambient electronic music really took off, David Parsons was really one of the giants of the genre, his albums Himalaya and Yatra standing proudly next to timeless classics like Dreamtime Return. Himalaya was a really cosmic and deep work, an ambient album with a lot of connection to the spiritualities of the East. Its long, almost minimalist tracks were so perfectly evocative of the legend and majesty of the Himalayan Mountains, you almost felt like you were soaring over them. Forget the rather generic packaging and production, it's from the era of the Windham Hill and Narada days, but the music is something a lot more eternal and inspiring than most of what came out of the New Age bins in the 80s. He had a couple of cassettes before this, but this was really the beginning of a long and impressive career.